Opening your own gallery is exciting, but also one hell of a challenge. Charlotte Cornish speaks candidly about the experience. The art space closed last week after almost two years. We spoke to Cornish about what it’s like to set up and run your own gallery as a one-woman band, including what happens when part of the roof of that gallery blows off in a storm. 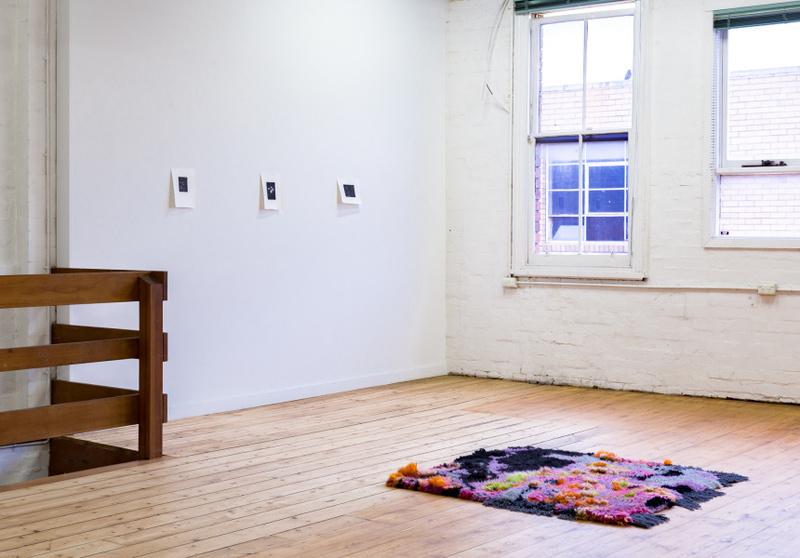 Broadsheet: What’s been the hardest thing about running your own gallery? Which of those things didn’t you anticipate? 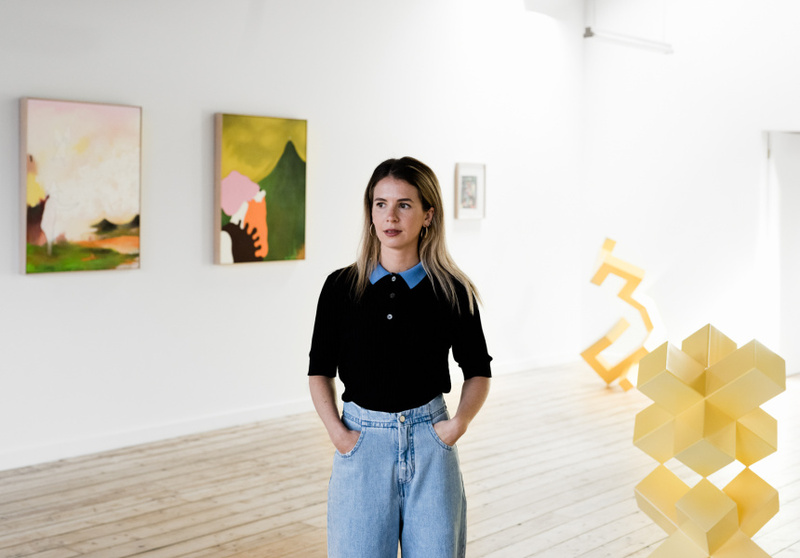 Charlotte Cornish: The hardest part has been managing a lot on my own, from exhibition programming, making and marketing to finance, administration – the list goes on. I had support from mentors, board members, interns and volunteers along the way, which has been really helpful, but a lot of the responsibility fell on my shoulders. Even though I had experience before I began, when it’s your own project it’s different ... You have to be really organised and need to think in different time frames. BS: You weren’t able to dedicate as much time to some aspects of curatorial work – studio visits, outside research – as you’d initially hoped due to the sheer size of the job. Were there aspects of this work, though, which you were able to satisfy simply by virtue of running an art space? CC:Yes my curatorial practice developed through having my program open to questioning, which, when you’re starting out, is a vulnerable position to put yourself in. When there was a review or I thought people were talking about the gallery critically I became very self-conscious, and sometimes that felt a bit stifling … The gallery’s contribution is always open to interpretation by others and you have to stand by your decisions. I’d remind myself that the gallery exists to support and facilitate artists and curatorial practice, and that I am still learning how best to do that, but I guess the personal investment sometimes made it tricky to separate emotion from the work. BS: What’s been the best part about running your own gallery? CC:Supporting artistic practice and creating a gallery to foster and appreciate it. BS: Can you explain that a little more? CC:I wanted to focus on responding to artists work that wasn’t necessarily commercially-minded, and creating a context for that to be digested in a concise yet open exhibition format. So gathering artists who might be examining similar concepts or processes, but who were going about it in different ways, sometimes with lineage across generations. This was the loose structure to the exhibition program – to be responsive to what was happening and give it context to be seen and understood. The government cut [a lot of arts] funding in 2016, which was discouraging to the industry. When I didn’t have any job prospects I thought that starting a space to work on what I thought was lacking was a productive thing to do. BS: What will you miss most? CC:Developing relationships in the process of working with artists and curators. There have been genuine connections created through shared interests and a sense of being mutually understood, or at least heard … There is generosity and intimacy involved in entering someone’s working space and having open conversations about ideas, processes and seeing outcomes, and I always feel really fortunate to be able to do that. I will also miss the actual space and its character, and being there with the studio artists and Otis, my dog. BS: Was the response to The Honeymoon Suite as you anticipated? CC:To a broader audience some of the practices we exhibited were probably more experimental than others, or were intentionally challenging. Introducing audiences to artists they otherwise may not have seen was actually pretty motivating – it meant that people were learning about them and dialogue was being created, but that doesn’t mean it was always easy. You have to be well informed to discuss artists’ work and sometimes people can be disagreeable, but art isn’t always about being in the service of the audience’s pleasure. Commercial galleries can place a specific tangible value on artwork or artists and audiences outside of the art industry tend to understand that dynamic more easily. At The Honeymoon Suite the intangible value of art was perhaps more of a focus and sometimes people didn’t understand why a non-profit gallery was necessary or how it contributed cultural value. I wasn’t trying to be anti-commercial – I think the art market is important and I have included commercially represented artists in the program. It was just that the contribution I wanted the gallery to make was more focused on metaphysical aspects. BS: Would you do anything differently? CC:I’d figure out how to finance it properly and make wages a priority for staff, artists and curators. The studios have paid for some of the rent, but running a non-profit gallery isn’t sustainable. Well, it might be, but not the way I did it out of my own pocket. Most non-profits have council, state or federal funding and can afford to pay people, or charge artists to use their gallery space to exhibit, but I didn’t do it like that. Once financial aspects are taken care of it would be more realistic to delegate specific tasks so that I could allocate more of my time to researching artists, the exhibition program, studio visits and participating in the wider art context. I also think its important to dedicate time to research outside of known circles –beyond the usual spaces and art schools – and allow space for those that haven’t been heard as much. This is something I wasn’t able to do as much as I wanted. BS: What have you learned about art or those making it that might have been impossible without running your own gallery? CC:It can be a sensitive process to share what you’re thinking or creating with the wider art world, especially for younger artists. Artists often put a lot of themselves into their work, not necessarily examining their own identity, but certainly investing their own time, energy and money, often while working another job to pay their way. If someone is showing at your gallery their work is in your care and I take that seriously. You have to have the skills to handle artwork and install it correctly, resolve problems that arise and make decisions or come up with solutions. 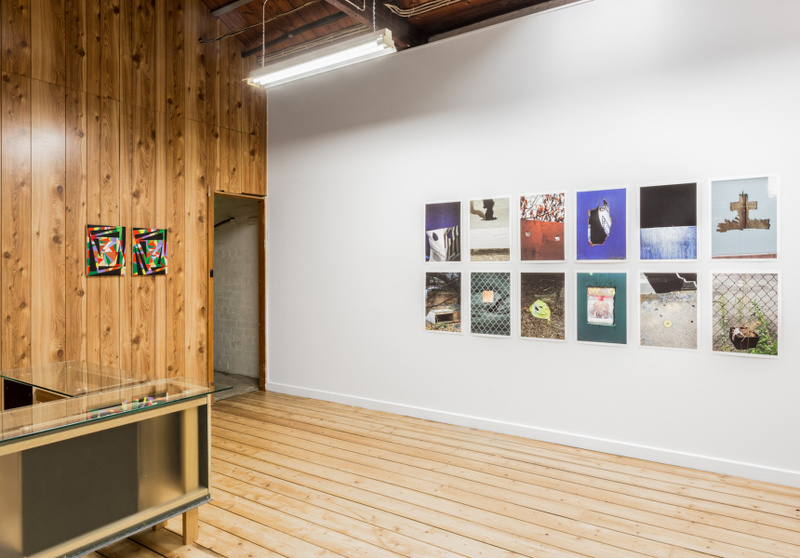 When you are running your own gallery the level of responsibility is much greater because you are inevitably facilitating [the art’s] reception. You have to make decisions that will contribute in a beneficial way to the artists … and make sure that their work is safe. BS: What did you learn about The Honeymoon Suite space that you weren’t aware of when you first moved in? CC:The building used to be a hardware store called Balfe & Sons. Danny Frommer, an artist who participated in one of our exhibitions, On Being, was intrigued by the giant steel wheel-and-pull system that was sitting dormant in the gallery’s roof. As part of a work for the exhibition Danny did a lot of research into the history of the space to figure out how the wheel previously functioned and for what purpose. He discovered that it still works manually and was effectively a pulley system to move goods from street level into the space. BS: In a decade’s time, what day or moment at The Honeymoon Suite will you remember most? CC:I’ll remember all the installs and openings. Installs are often pretty stressful and tiring, but the moment when everything comes together is special. I don’t how to describe it – it’s difficult to articulate. There was never much time between that special moment and the exhibition opening, so I’d have to pull myself together pretty quickly. I often really don’t enjoy openings – I find them a bit anxiety-inducing. But being able to celebrate the artists’ work with them was important. I always felt comforted to have friends and people show up to support the artists and the gallery. That was a race against time to get the artworks out of the space safely. The Honeymoon Suite is hosting a closing party, The Honeymoon is Over, on Friday June 8 from 7pm to 10pm at L1, 60 Sydney Road, Brunswick.